How Did They Build the Sainte Chapelle? [02:00] The Sainte Chapelle is where Saint Louis displayed the Crown of Thorns. How much do we know about this relic, was it the real thing? [03:20] They built this church for the exclusive use of the French King and his family. Louis IX a.k.a. Saint Louis was very pious and having precious relics in his possession was a sign that God favored his reign and that he was the legitimate ruler of France. [04:00] The Gothic architectural style is what you will see in this church with tall stained glass windows and narrow stone pillars. Light reflections are an opening into paradise. [06:00] Many visitors to Paris walk right past the entrance to the Sainte Chapelle and never go inside. We think you shouldn’t miss it and explain why. We recommend you get the Museum Pass which includes this attraction and plan on spending some time in the security line. [07:00] The makers of this stained glass used a secret formula for some of their colors that we cannot reproduce. [08:00] It’s a miracle that the stained-glass is still there. There is a video on the bottom level that shows you how they keep the stained glass pristine and safe through two World Wars and Occupations by the Germans. 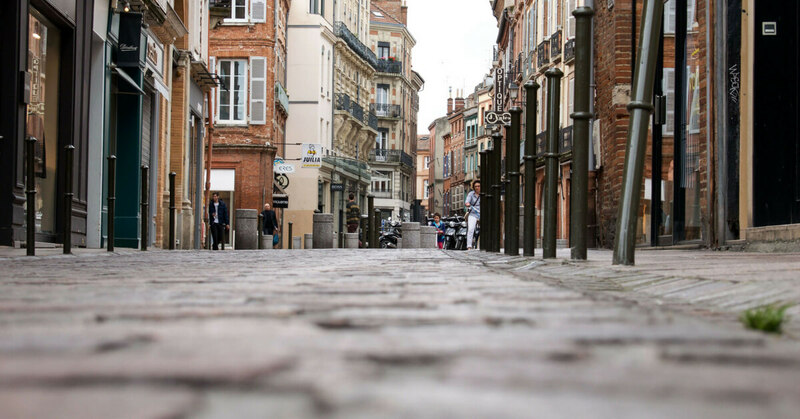 [09:30] We think this is more beautiful even than Chartres Cathedral, but they are both marvelous in their own way. [11:30] Practical considerations: How to get there, entrance fees, photos ARE ALLOWED now! How fit do you have to be for this visit? There are some stairs. There is an elevator but only if reserved ahead of time. This venue only offers guided tours in French. If you want a tour in English arrange it ahead of time. This visit is not ideal for small children. Thank you listeners! 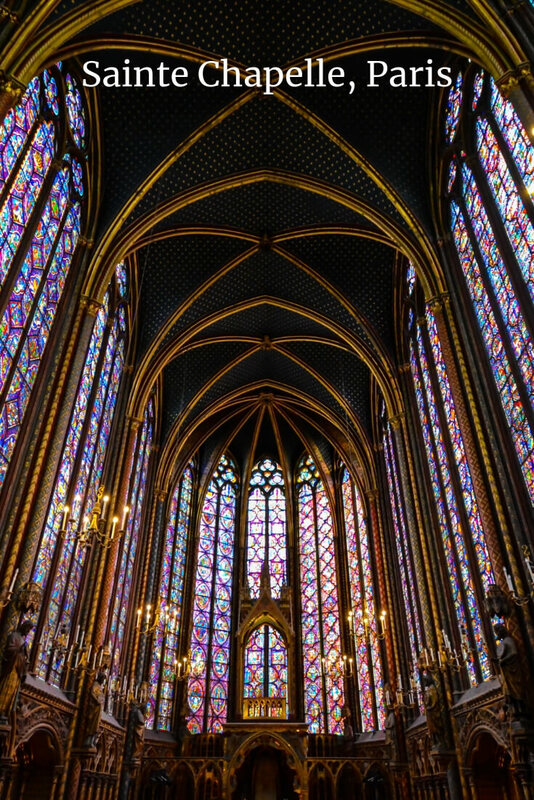 In the comments we’d love to know if you’ve visited the Sainte Chapelle and how it made you feel.